How do you get the biggest names in publishing, marketing and business to return your calls? How do you get them to join you for an intimate evening? How do you pack a private event with more than 40 top-tier journalists? If you asked Sol Orwell, founder of Examine, he’d tell you it comes down to one ingredient: cookies. Well, maybe two: cookies and a cause. 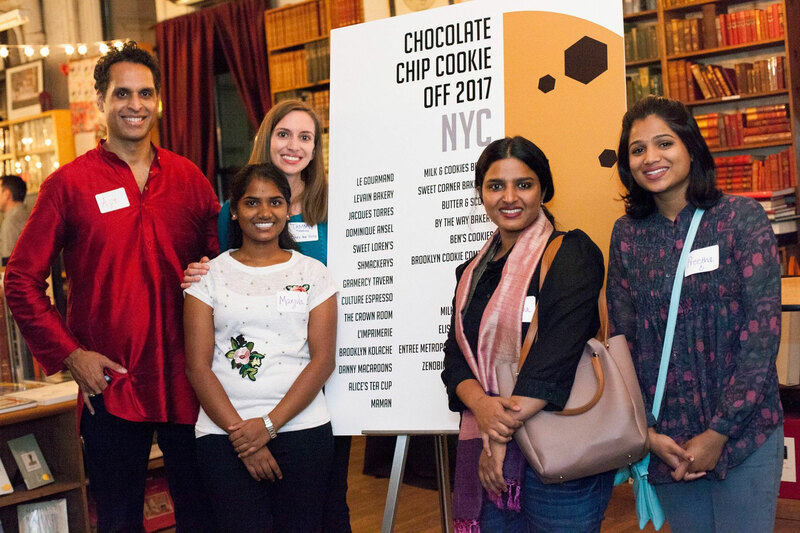 On November 4, Sol Orwell and Tammy Tibbetts, CEO and co-founder of She’s the First, played host to a veritable who’s who of influencers at the first annual NYC Charity Chocolate Chip Cookie Off. 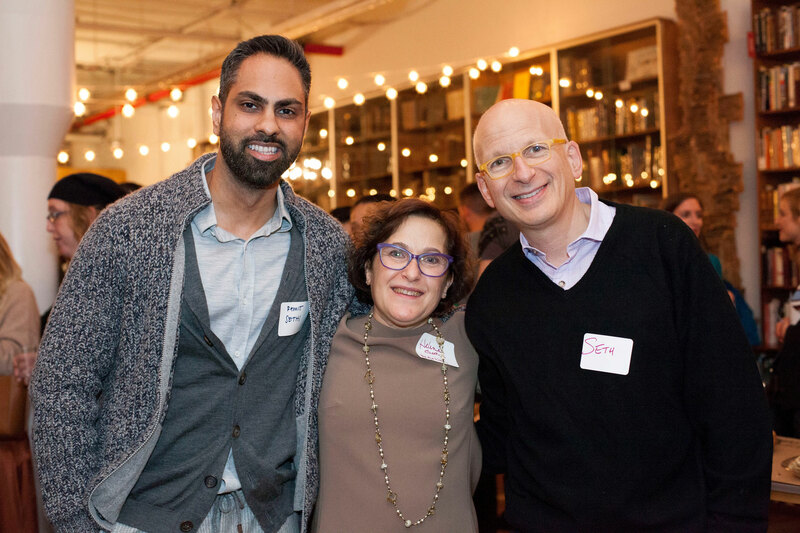 Notable attendees included best-selling author Seth Godin; personal finance guru Ramit Sethi; Nick Ganju, whose company ZocDoc was valued just south of $2 billion; Mark Manson, author of The Subtle Art of Not Giving a F*ck; and the king of food-related networking himself, Keith Ferrazzi. Part media event, part philanthropy, the Cookie Off reveals two ingredients perfect for not only leading your own networking event, but also for networking itself. And just like any great recipe, what you leave out is often more important than what you put in. The Cookies: Networking is about the person, not who they know. At first, cookies might sound like an odd centerpiece to world-class networking. But they serve as a metaphor. Take, for instance, the attendance of Seth Godin. The temptation in networking is to constantly trade up the chain, to let our egos taint and eventually spoil what would otherwise be a healthy relationship. One eye on the person in front of us, the other runs ahead to who they know and what they can do. Such an attitude not only ruins one-on-one relationships, but also any chance of who might come next. The Cause: Networking is about giving, not getting. When the big day arrived, more than 40 journalists from publications like Forbes, Entrepreneur, Fortune, Men’s Health, Business Insider and SELF arrived as well. Naturally, they hadn’t found their way to the party by accident; they’d all been invited. But similar to the previous point, how they’d been invited holds the key. It’s a difficult line to walk: balancing giving with getting. Is it manipulative to hide our “true” intentions in networking and build a relationship on what some might call pretense? That all depends on what your true intentions are. At the heart of the Cookie Off wasn’t Sol, nor any of the big names, nor even the cookies. Rather, it was a cause. She’s the First is a New York based nonprofit committed to sponsoring “girls who will be the first in their families to graduate high school,” primarily in low-income nations beyond the West. As an immigrant himself, partnering with She’s the First was, in Sol’s words, “a no-brainer.” And handing over a $30,000 check stood out even more than Milk and Cookies Bakery’s dark chocolate toffee potato chip crunch (which won the event’s most interesting cookie award). This isn’t to say networking has to revolve around a charity. But it does mean that relationships are best established and nurtured upon causes larger than just us. The truths about networking are counterintuitive, but powerful. Still, it never hurts to serve up something sweet, as well.